When Samsung showed off its foldable smartphone Wednesday, there were some "oohs" and "aahs." But when the company announced the phone would start at $1980, the enthusiasm turned to groans and dropped jaws. Why it matters: The announcement pushes the price of smartphones — or at least one phone — to previously unheard of altitudes, raising the question, "Just how high can smartphone prices go?" The bottom line: A tiny fraction of folks will pay $2,000 or more for a smartphone provided it is significantly luxurious and makes them the coolest executive or celebrity in the room. That's clearly the market Samsung is going for with its Galaxy Fold, though it didn't specifically say who might buy the new device. For most people, though, current top-of-the-line smartphones are already stretching their budgets. It wasn't that long ago that $800 was seen as the highest starting point consumers would stomach. Flashback: In 2015, I predicted that Samsung had gone too far and that $900 would prove to be the high water mark for non-Apple phone prices. "The era of the big-bucks phablet is coming to an end," I boldly and wrongly declared. Meanwhile, high-end phone prices have moved steadily upward in recent years even as the market has matured, with consumers showing plenty of appetite to pay up for larger screens and better cameras. Yes, but: There's a difference between a little year-over-year price creep and introducing a phone that costs more than a high-end smartphone and tablet combined. 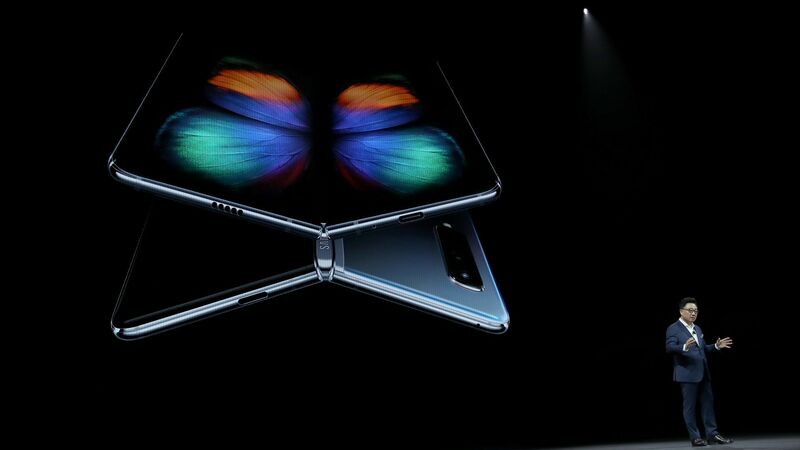 The Galaxy Fold raises other questions, too, including whether the world really needs a foldable phone. For the uninitiated, the Galaxy Fold consists of a smaller "cover screen" and then the big unfolding tablet-size one that appears when you open (aka unfold) the device. The pros: A foldable phone lets you have something that's easy to hold and can often be put in a pocket, while also offering more screen real estate for browsing the web or watching a movie. The cons: Obviously first and foremost is the cost. But the Galaxy Fold is also thicker when folded up than a traditional phone, and its folded-up screen is just 4.6 inches diagonally. While this effort is sleeker than past attempts, others have introduced devices that took a roughly similar approach with less advanced technology. One of the more recent attempts was ZTE's Axon M, which had similar pros and cons, albeit at a price tag that was less than half of the Galaxy Fold. What's next: Expect more foldable devices, with Huawei, Xiaomi and Lenovo all in various stages of development.